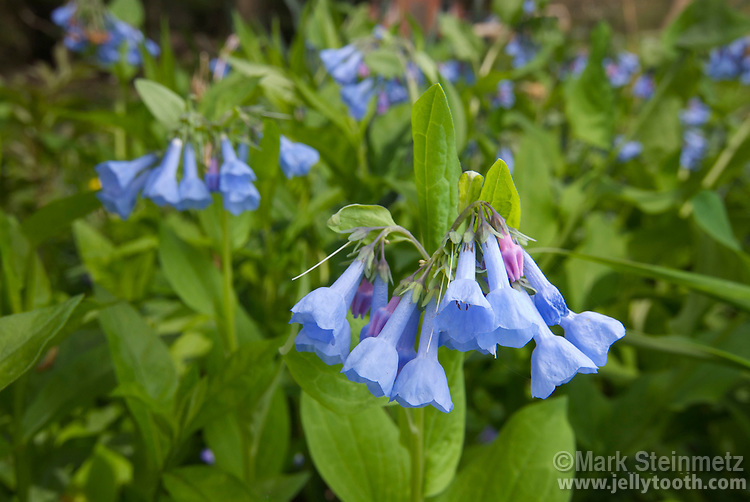 Virginia Bluebells (Mertensia virginica), showing pink buds opening into light blue flowers. Spring blooming perennial wildflower native to eastern North America. The plant's prolific foliage dies down by the end of spring. Franklin County, Ohio, USA.